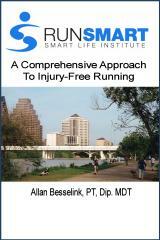 "Allan Besselink's superb coaching skills helped me take my triathlon training to the next level! I am a full-time professional who races as an amateur triathlete. My biggest struggle was trying to find the time to train and compete while maintaining a more than full time career. Allan's coaching plans helped me train less total hours with better results. I was able to reduce my half Ironman time by 30 minutes with a reduced training schedule. He taught me that the quality of the training session is more important than the quantity of overall sessions. I highly recommend Allan because he provides a combination of coaching, mentoring, and he really listens to what you need as an athlete."